Elizabeth's term as the nation's queen consort was relatively short; she was widowed at 51, and she lived for another half century afterwards. Even though her daughter was now queen, the Queen Mother continued to conduct a large number of royal engagements, and she still had reason to wear some of her elaborate jewels. She wore the Boucheron tiara up until her death in 2002, when the sparkler was inherited by the current queen. Elizabeth II has never worn this particular tiara in public, however. 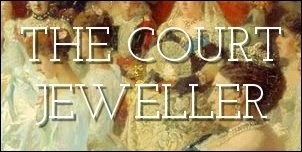 In 2005, when Camilla Parker Bowles married Prince Charles, the queen gave her three tiaras as long-term loans, and the Boucheron tiara was among the collection. (The other two, per Hugh Roberts's The Queen's Diamonds, are the Delhi Durbar Tiara and the Teck Crescent Tiara.) The Greville Tiara is now frequently sported by the Duchess of Cornwall at white-tie events, including state banquets and the state opening of parliament. Camilla garnered major public attention when she wore the tiara at a pre-inauguration reception for the new king of the Netherlands, Willem-Alexander, in the spring of 2013. Like the Queen Mum before her, Camilla has made the Greville Tiara something of a signature diadem, wearing it more times than all of her other tiaras combined.